We have added a range of chairs to our offerings! 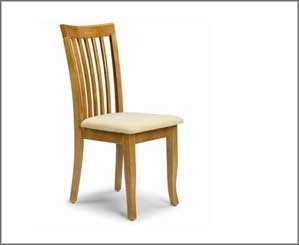 This is due to popular demand and also the variety of products we offer that come with chairs. This collection has been picked to offer great value for money. There is a range of styles, materials, colours and prices on offer, and we have sourced these models from the likes of Bentley Designs, Julian Bowen and many other top suppliers. Since we began trading all those years ago, we have worked hard to forge a reputation in the beds and mattresses industry, by stocking the very best brands. In recent years we have expanded this ethos and now stock some of the biggest and best chair and furniture brands. So, whether you're looking for something to complement your dining table, something comfortable to use in the office or simply something to relax in, then you're in the right place.